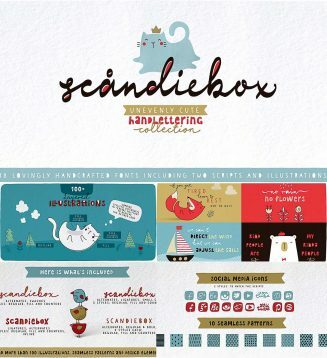 The Scandiebox Hadlettering Collection was inspired by simplicity of the modern Scandinavian style and also have some influence of Japanese kawaii. The collection’s childish look-and-feel makes it perfect for all sorts of designs for children – books, cards, invitations, packaging, apparel, children shop ads, etc. 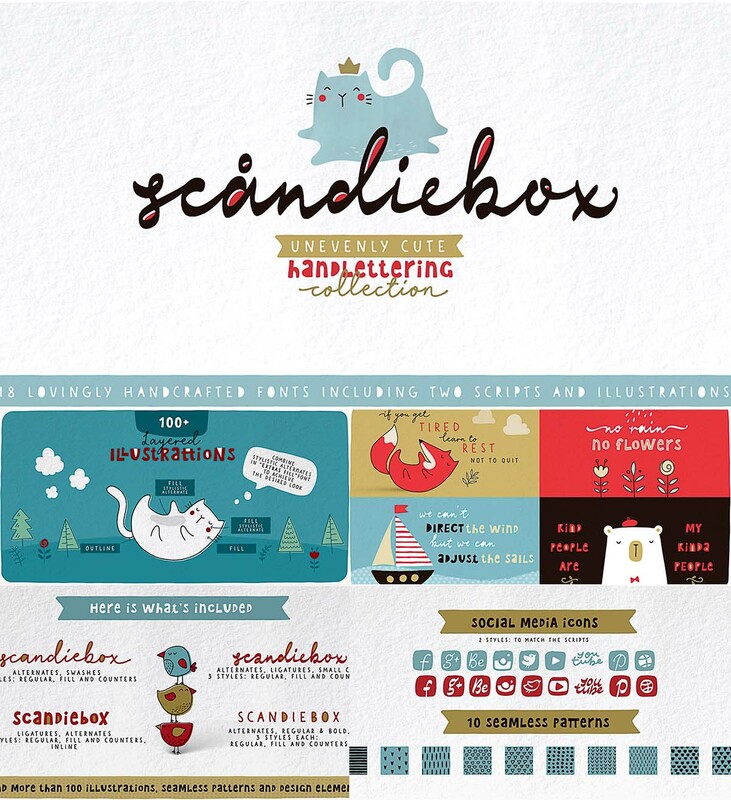 Tags: book, brush, cartoon, childish, children, font family, inline, packaging, sans serif, scandinavian.